Learn how Host Hotels & Resorts, a Fortune 500 company and one of the largest owners of luxury and upper-upscale hotels manages and approves capital expenditures and associated contracts across their entire portfolio of properties on Intellect. 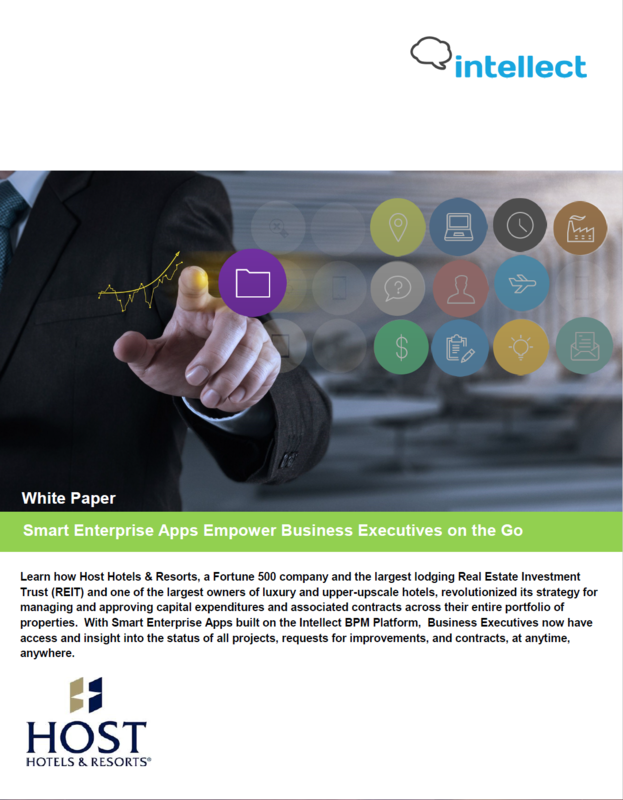 Download the Smart Enterprise Apps Empower Business Executives on the Go white paper! A flexible solution find out the reasons why Host Hotels chose Intellect and Intellect Smart Enterprise Apps. The new smart mobile apps helps mobilize Host Hotels workforce and allows their field workers to work offline.